I could see this review being called inept, way too critical or not critical enough. All I wanted it to be is honest expression of the feelings towards the band I long held in high esteem. 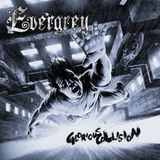 The confession is – I have long had a love affair with Swedish Evergrey, every album of theirs hitting bullseye since Solitude Dominance Tragedy. I said it once before that one of my favorite birthday gifts was the band’s DVD A Night to Remember collecting most of my favorite tracks. I wish I could attend the show that night, but at least I am proud I was able to catch the band on the American shores with Iced Earth and Children of Bodom and chat with Tom Englund after the show. It was the real authentic feeling of pain spilling out of every Evergrey album which kept me in tune. As long as I felt that emotion I was accepting everything Evergrey produced without questioning the proceedings much. It felt that Englund and Co. were the same people in life as they were on stage – a rare occurrence among music artists. Then came Monday Morning Apocalypse (overquoted by me hereby) and ruined everything. Just like in love, as soon as you start questioning you start seeing flaws, and it snowballs from there. Torn brought feeling back somewhat, but I still don’t play the album as often as I thought I would, the busy nature of the tracks, trying to do almost too much never letting the feelings flow uninhibited. For this reason or another Evergrey felt the crisis too and almost disbanded. As the promo sheet says, the members remained friends in life, but musically they have certainly gone their separate way, only Tom Englund – the face and soul of Evergrey – and keyboardist Rickard Zander remaining. If it can’t be called a comeback, then Glorious Collision is at least a new beginning. I wish I could tell you that the album is a Phoenix for Evergrey, and it restores my passion for the band 100%. For some it might be, and I envy those folks and want to bless their souls. For me, it is a strong album falling short of how I would want Evergrey’s new start to be. There is sure enough dark metal to bathe your listening senses in, but for a band which almost did not go on, there is too much business as usual and definitely not enough desperation. Glorious Collision has plenty of strong riffs with dark keyboard sounds shimmering in the distance or coming close (Leave It Behind Us). The band ratchets pressure at times only to collapse breathlessly into the keyboard pool without sounding light (Frozen, … And the Distance). If there is a hint of poppy melody, the slower heavier choruses of Wrong or Out of Reach absorb it seamlessly, making heaviness, polyphonic layering and the aforementioned melody coexist. Then there is of course Tom’s fragile, vibrating and unmistakable voice, balladeering in the way only he knows how. Yet for every moment I was expecting to be submerged by the vortex, the pressure yielded allowing me to relax. Restoring the Loss mounts its beginning in a non-stop motion similar to The Corey Curse, but loses steam one minute into it. To Fit the Mold and The Phantom Letters, starting off as ballads beg for a male/female duet (sadly there is none outside of the bonus track … And the Distance not available to everybody), their quiet storms brewing without coming to fruition. You, which seemingly has its rhythmic drum solo borrowed from Moonspell’s From Lowering Skies from The Antidote, has even somewhat of a modern style breakdown. For every forward motion double bass propelled It Comes from Within you get lost tracks like The Disease … or less than convincing Free. For every kid choir (I’m Drowning Alone) and prominent defining lead (Wrong), you get new and very capable guitar player Marcus Jidell (Royal Hunt) to overindulge himself with the song losing momentum (The Phantom Letters, The Disease …). I wish I had several more months to delve deeper into Glorious Collision. Such is the life of a reviewer, however, that the timing of this review appearing several months later would be completely off. I give it a solemn promise to spend more time with the album, and will report towards year’s end if my opinion of it has changed. For now, Glorious Collision is a commendable effort, but not the breathless breakthrough I so wanted to hear.